The addiction Madeleine West is struggling to give up! January is generally the time of the year when people choose to fix bad habits and adopt a healthier way of life. But former Neighbours star Madeleine West, 38, has one ‘addiction’ she is finding it extremely difficult to shake. In an article for 9Honey published on Friday, she confessed that she was becoming increasing dependent on Instagram. The mother-of-six admitted her social media habit is starting to affect her concentration and interfere with her everyday life. Madeleine’s addiction is one many people can relate to – an Instagram and social media reliance. 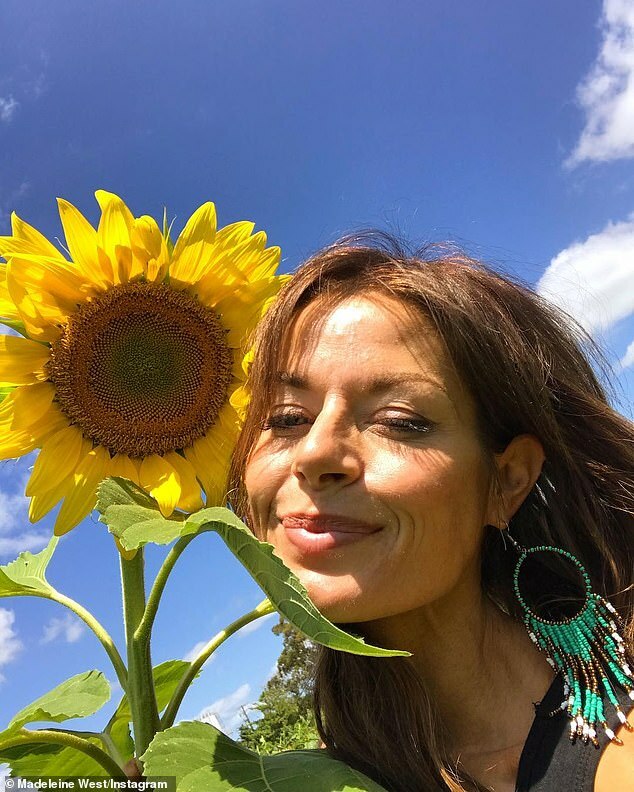 The former Neighbours star claimed she had attended a yoga class on Thursday – three days into her ‘Anti-Insta January’ ban – but came close to being derailed from her goal. Describing her withdrawal symptoms as an ‘undeniable impulse’, Madeleine said her mind kept fixating on how she would share her experience to the world via a filtered lens and accompanied by witty hashtags. ‘Deep down, I knew this was subconscious sabotage – as she dreamed of the perfect Instagram selfie during her yoga class,’ she penned in the article. While she admits to taking her phone out to take a selfie, she managed to refrain from sharing a photo to her 53,000 followers via the platform. In December, Madeleine revealed she would attempt to reduce her social media presence as part of her New Year’s resolution for 2019. Her vow to have an ‘Anti-Insta-January’ came after catching herself becoming frustrated by being unable to post on social media due to a phone with no battery. The beauty explained that it was a revelation speaking to her children without being constantly disrupted by social media, and wanted to continue with a complete ban. Over! In August 2017, Madeleine confirmed she had separated from celebrity chef Shannon Bennett after 13 years together. The couple share six children together. In August 2017, Madeleine confirmed she had separated from celebrity chef Shannon Bennett after 13 years together. She told Stellar magazine they were ‘striving to reconnect as friends and parents’, adding that having six children had put a strain on their relationship. ‘Having a public profile, having two high-pressure careers, having a multitude of children – and I will say they are a lot harder to train than dragons – it puts exponential pressures on a relationship, and cracks can form, and things that we don’t necessarily plan in the beginning can happen,’ she said.